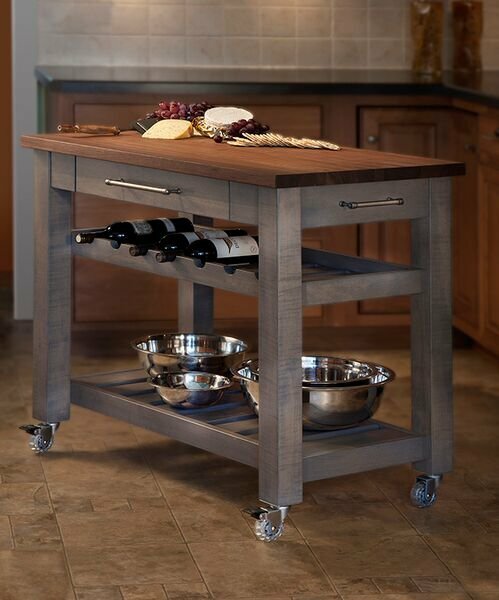 A kitchen island commands center stage of your kitchen. It is a grand feature, and that's a lot of pressure on a piece of furniture. Apart from looking substantial and beautiful, it needs above all to be functional. You can get a functional bare-bones island using stock kitchen cabinetry with a laminate top from $650. You can even create your own like the plywood cabinets above covered by a large white metal table for less. Add the two together and you have a kitchen island. Large, spacious and for a fraction of the cost. It is when you add a cooktop, sink or wine cooler that the price can move into the thousands. You can limit the project by using lower cost affordable materials and narrowing your list of features to the ones you need the most. Costs aside, there are practical design elements to include. 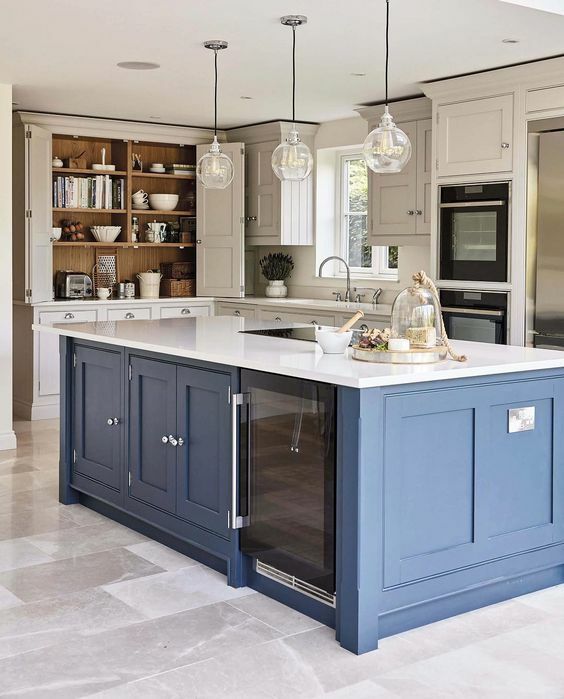 If you are planning to design, build or buy a kitchen island, no matter how big or small, here are 12 things to consider. 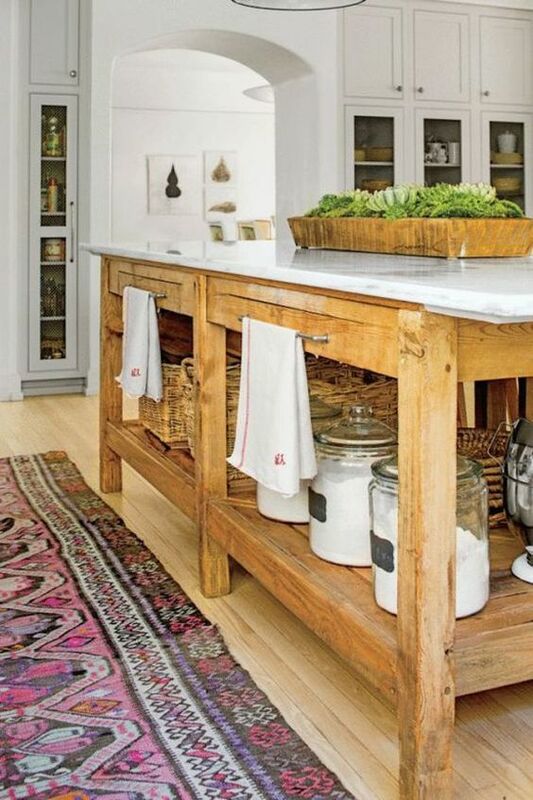 A kitchen island just doesn't work if there isn't enough room to move freely around it. Make sure you have 36 to 48 inches of space around each side. This will help with any foot traffic without others have to squeeze or shuffle by when you are working. 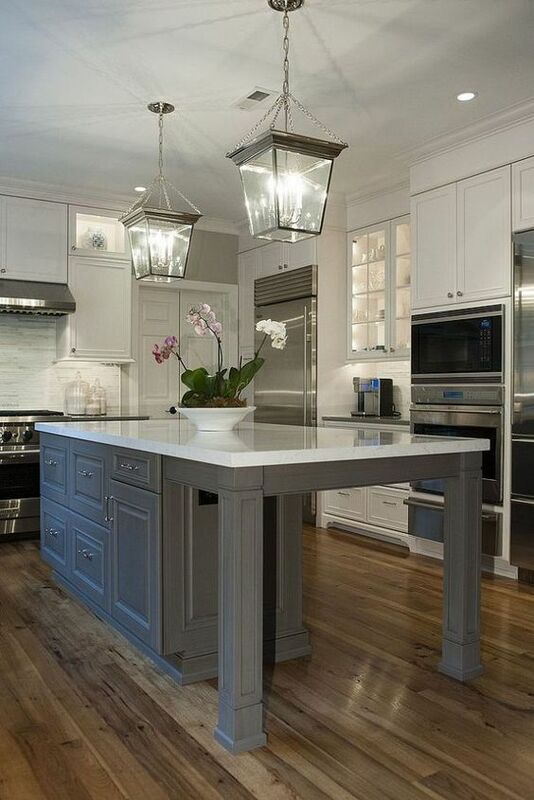 The National Association of Home Builders says 80% of home buyers consider a kitchen island essential. If you are doing a full kitchen renovation, make sure you allocate enough funds in your budget, especially if you need plumbing for an additional sink or wiring for an oven or dish washer. If you are planning to resell your home soon, budgeting is important so you don't overcapitalize your investment. 3. Would You Like Chairs with That? If you are looking to use your island as an informal space for dining, school or office work, you need at least 24 inches of width per person. Likewise, leave a clearance of 9 to 13 inches between the knees and the bottom of the counter. 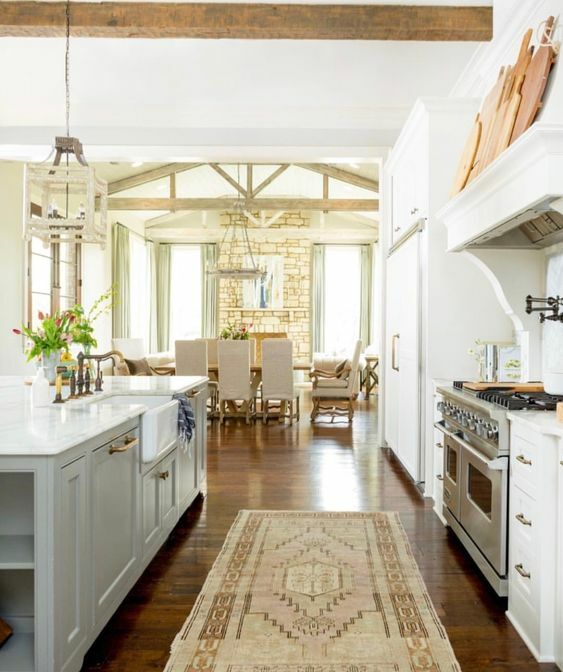 The style of chairs or stools you use will depend on the design of the island, and whether it is a continuation of the counter or a two tier multi-level island either to the side of the island or as an adjunct before it. The best kitchen island design for you and your household depends solely on how you plan to use it. 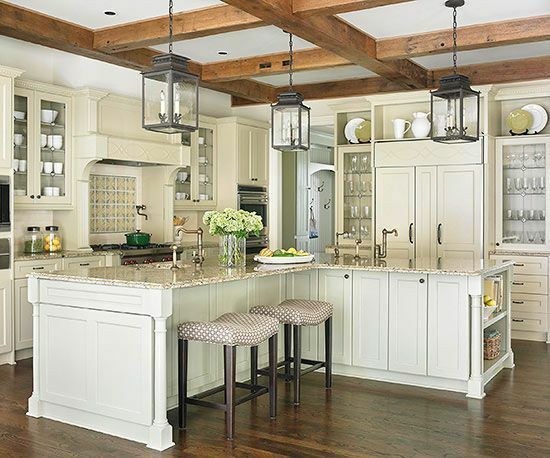 If you need baking, storage, sink space, plumbing, wiring and seating, your materials, appliances and features will add to the cost of your kitchen island. If you have a smaller kitchen, and what you really need is extra prep-areas and storage, design a clutter free surface with cabinets. 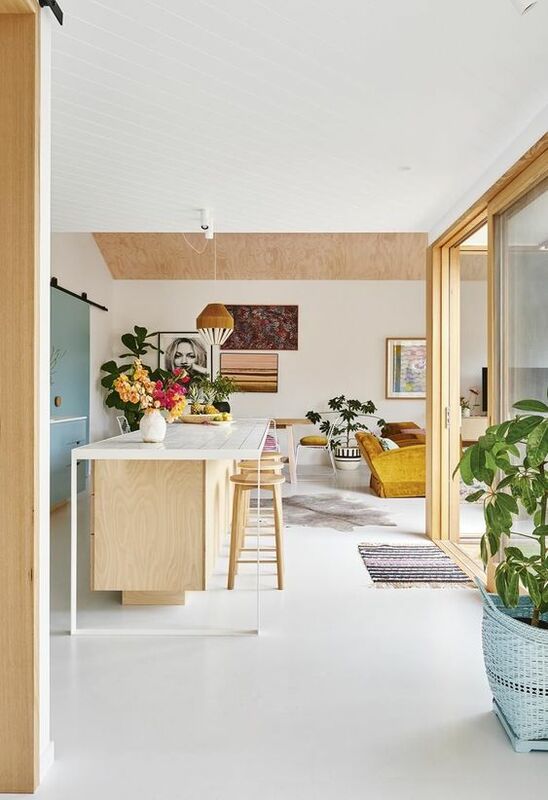 The beauty of open shelves is that they help you display and have easy access to dishware and books, and without doors, the island is cheaper to make. It also means keeping these shelves uncluttered and minimalist. Everyone works differently. 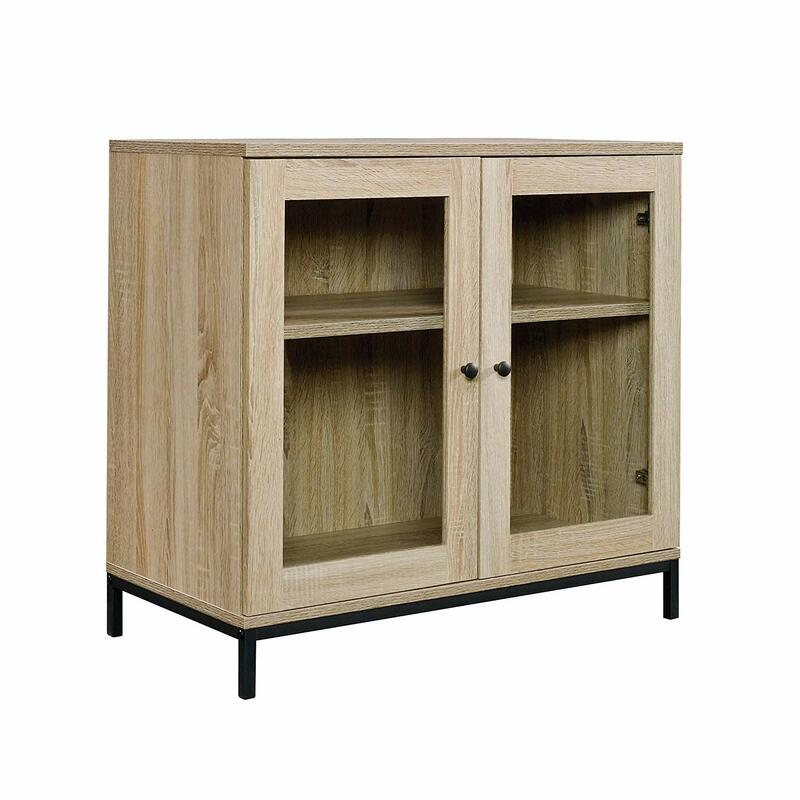 If this is not you, and you will stress about how the shelving looks, then cabinet doors are a better solution. Choose materials for you counter top you know will look good but that will also work for you. While butcher block is best for chopping food, stainless steel is hard wearing and can take very hot pans. 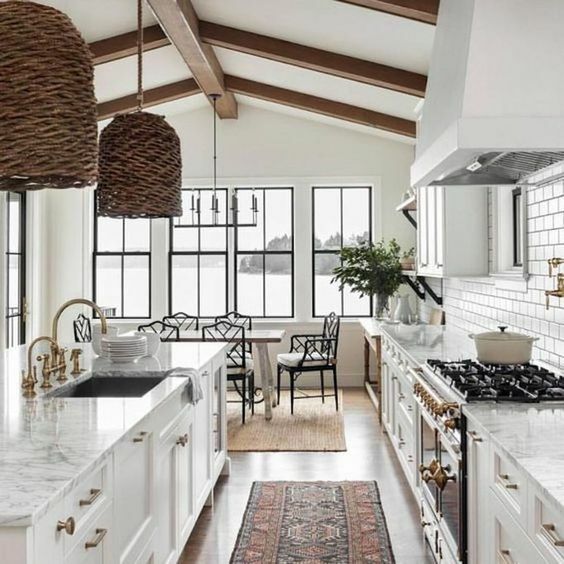 The island naturally becomes the main feature and focal point of your kitchen, and to make the most of it, it needs high quality, high impact material for your counter tops. Consider using terrazzo, marble, concrete, granite, stainless steel, wood or recycled glass. The finish is as important as the material. You want to add visual appeal with all the functional benefits without it dominating or screaming for attention. 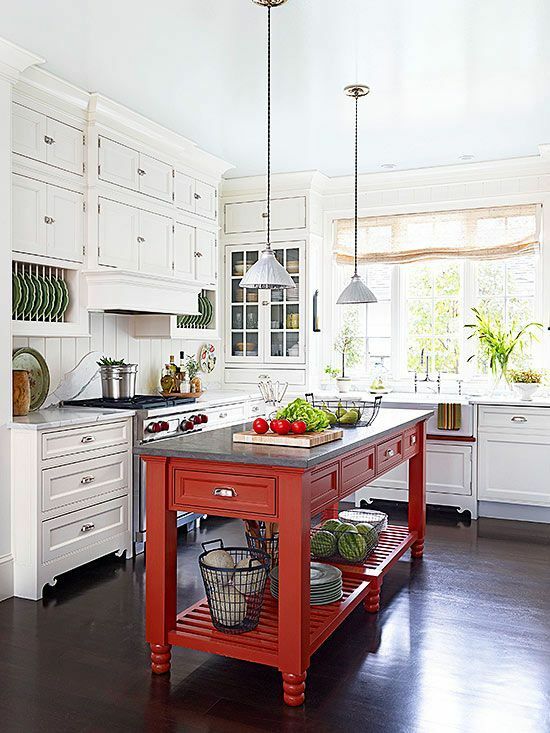 The trend is to use a contrasting cabinet color for the island to set it apart from the rest of the kitchen. 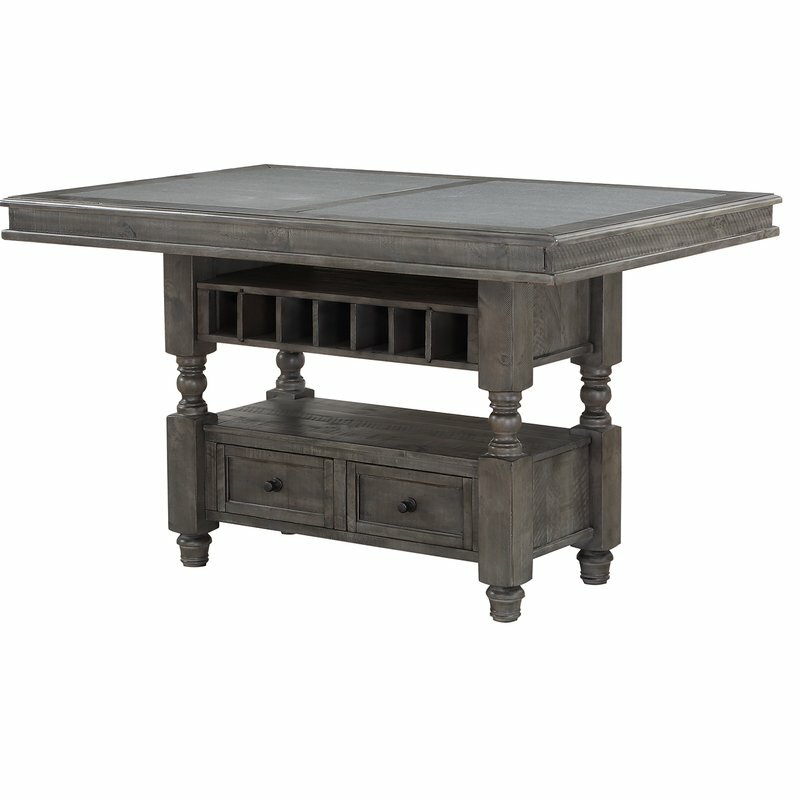 If your island needs legs, this is a good opportunity to add character that is in keeping with the rest of your kitchen. A shelf at the bottom of your island will help you to store and display cutting boards, wooden trays, bowls and other items. Traditional islands are rectangle shape. 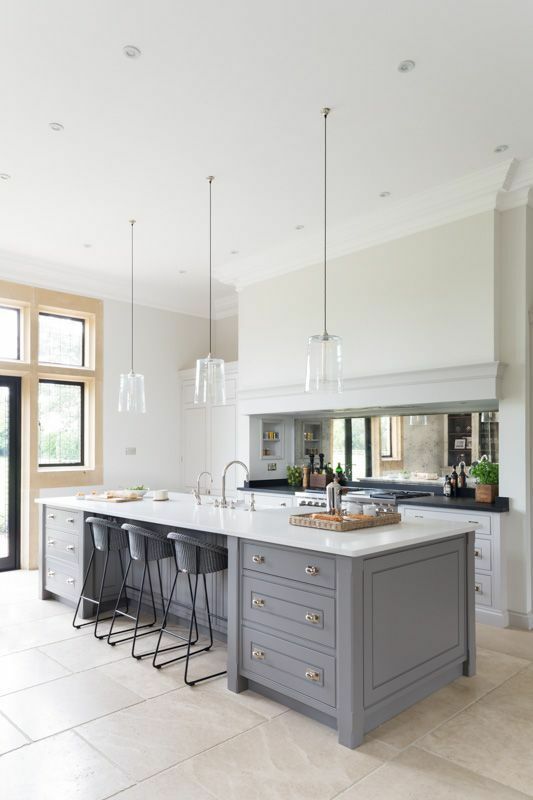 If this doesn't suit the size and shape of your kitchen, use a L, T or oval shape instead. As long as you have room to move, and it has all the functionality you need, you are ready to go. If you get the opportunity to build in plumbing and wiring, do it. Even if you don't think you need them, you might be surprised. Customizing the island to your family’s needs helps the kitchen workflow and makes you more efficient. This feature can also help with the resale value of your home. 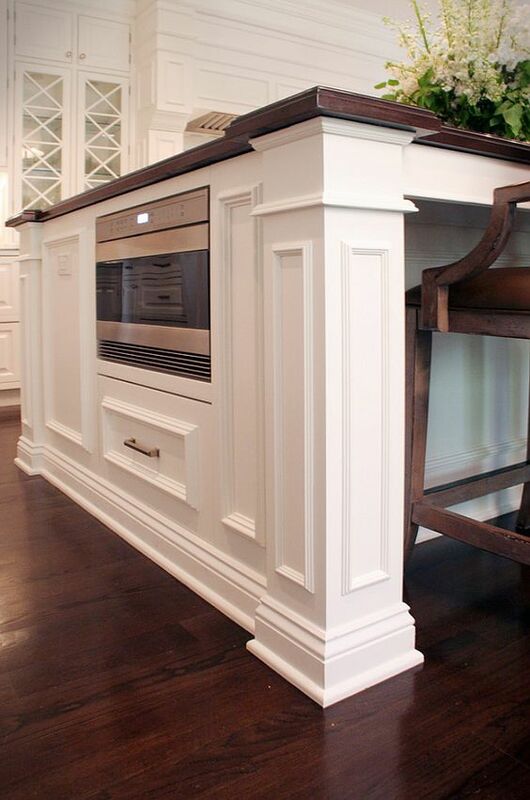 If you have decided on adding seating to your island, they should look proportional to the height of your island. Chairs work well for 28 to 30 inch counter height, while low stools work with a 36-inch counter height. If your counter has a height of 42 to 48-inches use bar stools. Remember to leave a clearance of 9 to 13 inches between the knees and the bottom of the counter. While the middle of the room is ideal, its not always perfect if this isn't close to appliances and outlets, your dishwasher and garbage and not enough lighting. Work out the best location for your island in proximity to these services. If the position looks visually lopsided, it may be best to add outlets and plumbing instead to get the best kitchen look and functionality. 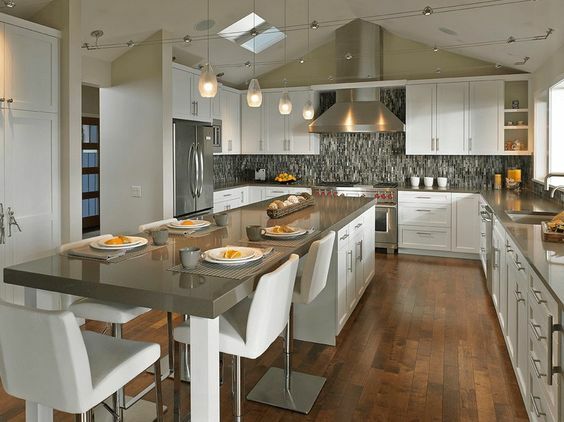 A perimeter island works well with a semi-open or open floor plan to connect spaces as well as creating zones. 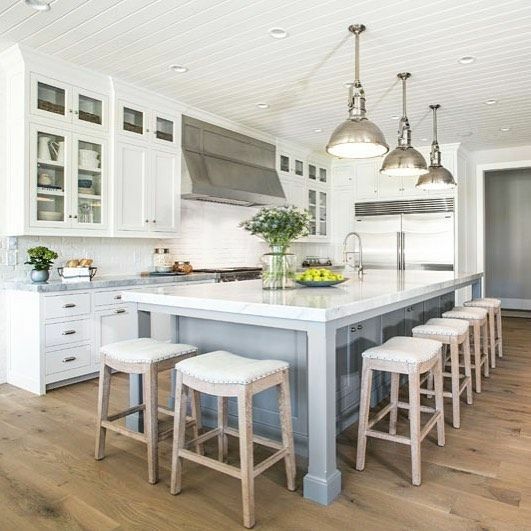 To work efficiently, and keep stress levels down, the island should keep cooks and guests on their own sides of the island, within their own space. In the end, its all about work flow. 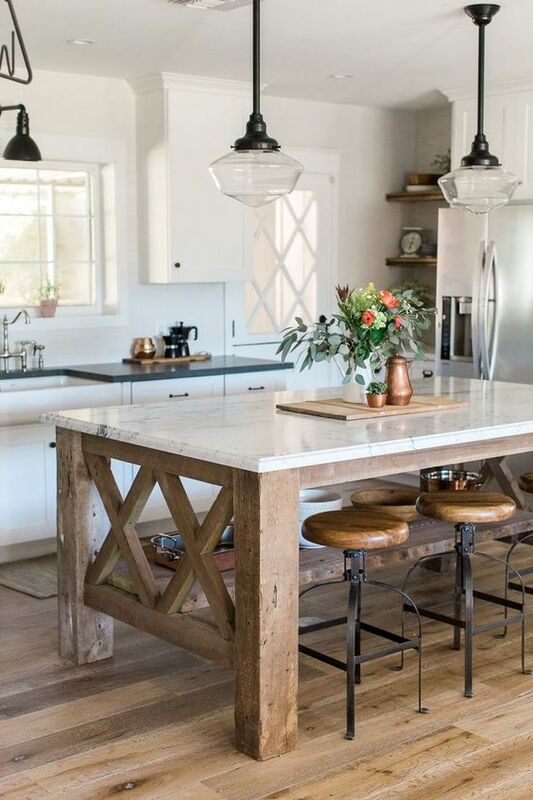 Your kitchen island should work within an imaginary kitchen work triangle. This connects the center of the cooktop, to the center of the refrigerator, to the center of the sink in a triangle shape that represents your workflow. This triangle should include the island but not cut through it by more than 12 inches.